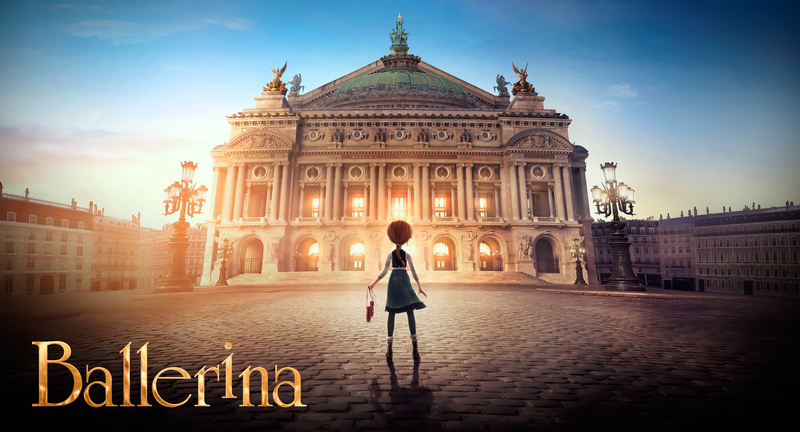 Félicie is a young French orphan who dreams of becoming a ballerina. With her best friend Victor, who wants to become a great inventor, she devises a madcap plan to escape the orphanage for Paris, the City of Lights. Félicie will have to work like never before to make her wildest dream come true: becoming a prima ballerina at the Paris Opera. Felicie is voiced by Elle Fanning who I loved as Princess Aurora in Maleficent, and the good news is she returns to that role in a sequel set to release in the next few years.. Her first obstacle is the boss of the orphanage, a man with a melted face, who chases after her on his motorbike when she and Victor escape. 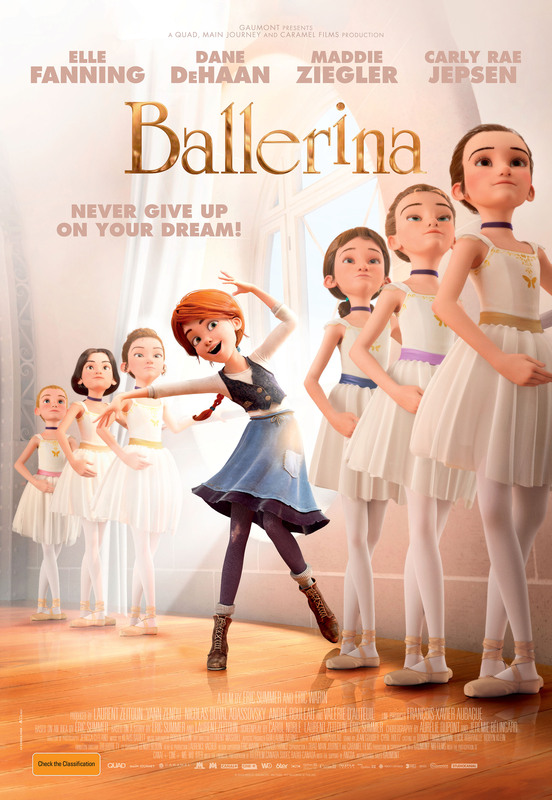 Ballerina is a great film about kids overcoming the odds as they follow their dreams, in the tradition of the Karaté Kid, Billy Elliot and Rocky! The filmmakers were also inspired by Ratatouille and Tangled. Ballerina is a must-see movie. I would rate this movie 5 stars.